Israeli Prime Minister Benjamin Netanyahu praised President Donald Trump on Wednesday for publicly condemning anti-Semitic acts after bomb threats to U.S. Jewish centers and vandalism in a Jewish cemetery. 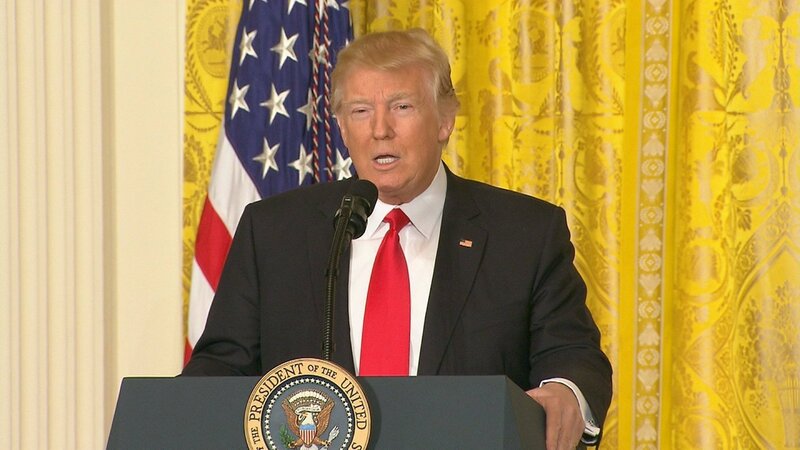 “Anti-Semitic threats targeting our Jewish community and community centers are horrible and are painful and a very sad reminder of the work that still must be done to root out hate and prejudice and evil.” he told journalists, reports Reuters. “It’s very important that President Trump took a strong stand against anti-Semitism and it’s important that we all continue to do so in the years ahead,” Netanyahu, on an official visit to Australia, said in Sydney’s Central Synagogue. A video of Netanyahu’s speech in the synagogue was posted on YouTube by Israel’s Government Press Office. In Israel, some media commentators had pressed Netanyahu to speak out more strongly against anti-Semitism, in light of what they said had been Trump’s reluctance to do so. A White House statement on International Holocaust Day last month without any clear reference to Jews or anti-Semitism was mentioned as an example of this perceived reluctance. Netanyahu rushed to Trump’s defense at a joint news conference in Washington last week after the president appeared to sidestep an Israeli reporter’s question about anti-Semitic incidents in the United States. “I’ve known the president and I’ve known his family and his team for a long time, and there is no greater supporter of the Jewish people and the Jewish state than President Donald Trump. I think we should put that to rest,” Netanyahu said. Several Jewish community centers in the United States were evacuated briefly on Monday after receiving bomb threats, the JCC Association of North America said. Another center was evacuated on Tuesday in San Diego, California, police said. Vandals toppled about 170 headstones at a Jewish cemetery in St. Louis, Missouri over the weekend.